In exactly one month you European 3DS owners will be able to get Tetris for your 3DS, as Nintendo announces a release date of 21st October 2011. The game is known as Tetris Axis in North America, but in Europe Nintendo is going with the less is more approach to naming. It'll still have the same single player and online multiplayer modes, just in a new name. North Americans, you can get your Tetris Axis on when 2nd October rolls around. 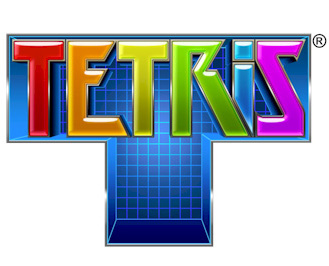 21st September 2011 – The music is affectionately etched into your memory, you remember the thrill of achieving a ‘Tetris™’ line clear after clearing four lines in a single move, you’ve enjoyed guiding the famous Tetrimino shapes into place for years, but you’ve never played a Tetris® game like this before. Tetris arrives for the first time in full 3D on 21st October 2011 for European Nintendo 3DS fans. With over 20 Tetris game modes, there are countless hours of fun to be had. Enjoy the beloved Marathon mode, or drop an AR Card on the table in front of you and watch the game come to life in all-new augmented reality modes. Compete in non-stop battles in the Computer Battle mode, race against the clock in Fever mode, or hold on for as long as you can in Survival mode. Spice things up with the Party modes which include an impressive array of new and challenging Tetris game modes such as: Fit, squeeze blocks into specifically shaped holes; Bombliss™ Plus, use bombs to explode blocks coming up from below; Capture, strategically cover stars on both sides of the Matrix with Tetriminos; and Jigsaw, solve picture puzzles or import your own pictures! Make sure you also look out for new items for Fever mode, made available via SpotPass™. Tetris for Nintendo 3DS also boasts a range of fun multiplayer options to keep you and your friends engrossed – five Local Multiplayer modes and three Download Play modes designed for up to eight people to enjoy at one time. What’s more, the Download Play multiplayer game modes only require a single Game Card. And if that isn’t enough, you can also go online and compete against the rest of the world over the Internet using the World Battle and Friend Battle game modes. Tetris is a no brainer on 3DS. The ultimate puzzle game in 3D with some cool modes should provide some fun on the go. While it's no killer app, something like Tetris is inevitable on every device I guess. I would get this if it were Nintendo themed. No Tetris will ever be as cool as DS. How much will it be? If it costs too much then I won't be buying the same game again just with a few extra modes. 2 days before I fly off to sunnier places. I suspect my wife will like this one for on the plane. Yay! More details! Jigsaw mode looks fun. The max. price should be 5 dollars. Preferably 2 dollars. Playing tetris on AR cards looks fun . Why do they always have bomberman in their games? The only modes I need in this Tetris is that Augmented Reality thing and regular Tetris. I don't know if I will get this if it's $40, will probably wait for a price drop. Does anyone else think this should be released on the eShop? @pizzacore No, I think it has too many features to be a 3DSWare game. The AR (augmented reality) looks cool to me. I don't play Tetris, and I'm not a fan of it. But I just love the AR. I may actually buy it, but I'm not sure. Tetris DS is good enough for me. Wait, isn't this the day that idiot said the world is supposed to end? Further proof, the world simply cannot end when there is Tetris on the way. I don't think paying full price for this will be worth it. Consider the fact that I live in Sweden and often full price for us is way over $40 (more like $64 in this case).